AEG 2-point fitting slings with twin bungee cord. 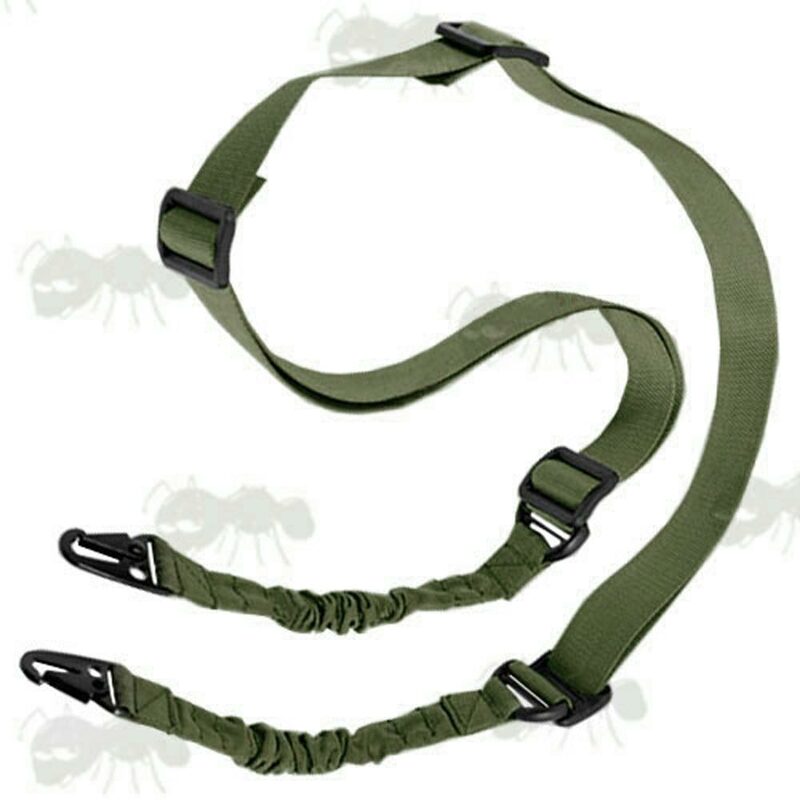 Two point bungee rifle sling. The length adjusts from 26 to 61 inches (660mm to 1550mm). Nylon webbing with heavy-duty spring-loaded metal snap clips. Quick release spring-loaded metal snap clips. 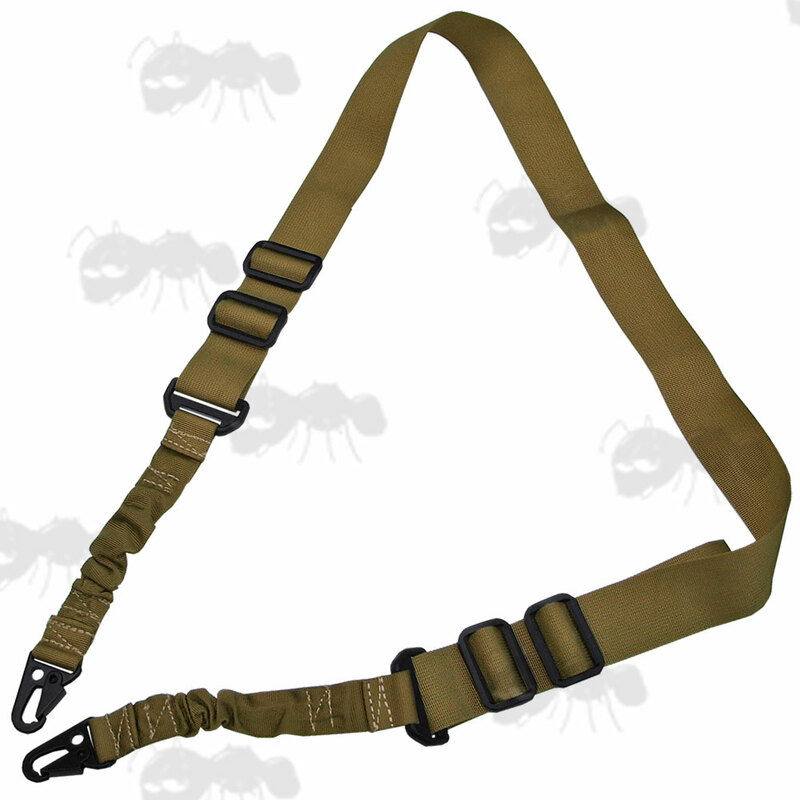 Also available ~ Airsoft one point bungee slings.